On Facebook someone shared that there was a new fish and chip shop in Birmingham serving gluten free food. My excitement was set and I started looking for it’s location. 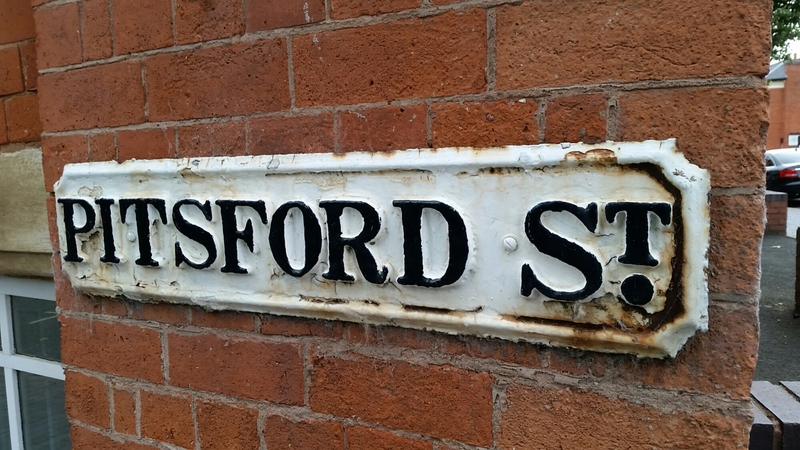 Pitsford Street is in the Jewellery Quarter near a cemetery. Don’t let that put you off as when you get outside the bright blue restaurant there were some lovely deck chairs. Once inside I had the choice of seating, as it was early evening. I picked cod and battered chips. Since I moved to the West Midlands I kept hearing about orange battered chips, so I had to order them. 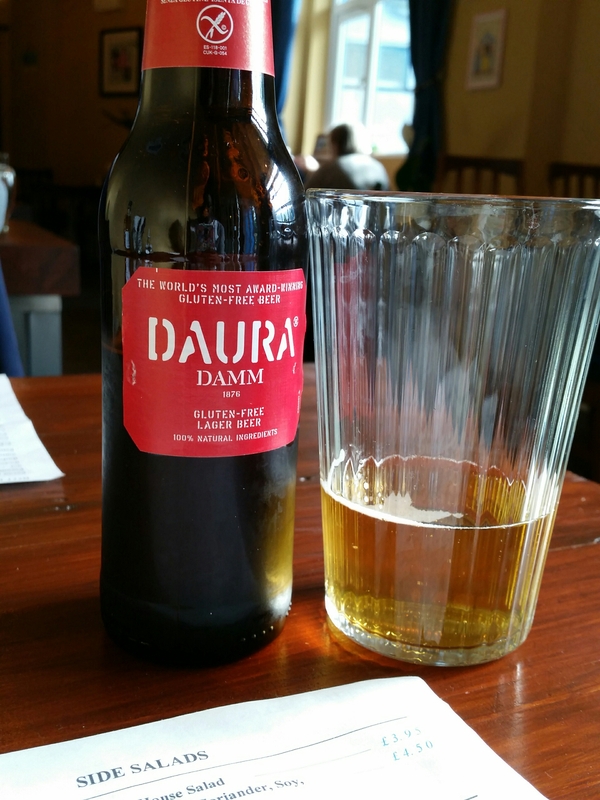 I ordered a beer as they served gluten free daura beer. Then came my fish and chips. It was wrapped in paper and I was really excited. I opened it up and wow! 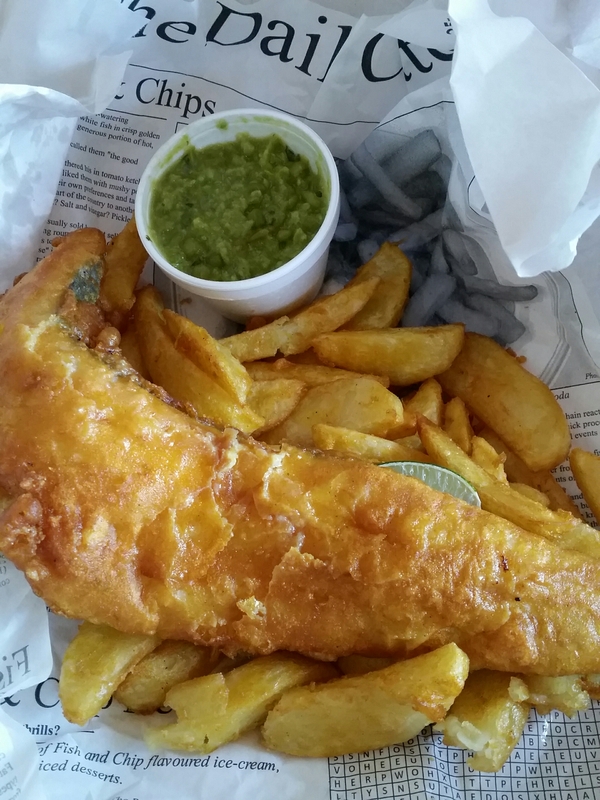 Here it was, cod and battered chips. It tasted as good as it looked. The only issue I had was the mushy peas tasted a little sweet, but that could of been my taste buds. I wish Fishylicious well and will be going back again.